All our team members are Graduates or hold equivalent degrees specializing in their skills. I've worked with Sanjay on a range of projects through the past year, including online research, report writing, data entry, website setup, and much more. After working with teams from all around the world, I can honestly say that Sanjay and his team are some of the most professional, reliable, and skilled service providers in the world. I look forward to a continued productive working relationship with Sanjay." "Enjoyed working with this provider. They are very detailed, and overall the work was above expectation. Any concerns were quickly addressed." "Sanjay has managed his company's delivery to us at Milan extremely well. He is rare at being the founder/CEO - but still retaining great attention to detail, which translates into accuracy of work, which in turn affects our reputation. Combined with his integrity and professionalism, we now have the foundation for a long term business relationship." "Sanjay is very professional and good at what he does. He is responsive to our questions and has proven his ability with our varied projects. We are happy to continue working with him longer than we had originally anticipated. I would recommend his services to anyone." "Has been a complete pleasure to work with. Fast, detailed, accurate, and organized. We are very impressed and are continuing with them. What more can be said?" Outsourcing non-core business functions will release valuable time and resources which can be dedicated to managing core functions instead. This means that the management of non-core functions are transferred to your outsourcing partner. In turn, your company reaps the advantages of your focussed view of the areas that are crucial to your business, allowing you to be more effective and efficient in your delivery of services. Companies do not always have access to skilled employees for all areas of their business - even big companies face the same issue since the cost of labour continues to rise. Outsourcing can then be a excellent option. Processes that are not core for your business, are core processes for outsourcing companies, and therefore it is in their interest to deliver the highest quality of service in those areas. Cost reduction is often listed as one of the main reasons for companies to outsource. Depending on your goals, outsourcing can offer many benefits; starting with a flexibility that allows your company to scale operations as and when they are required. Other cost benefits include potentially cheaper labour costs if you were to consider outsourcing offshore. Outsourcing can be an effective tool for improving the quality of services through innovation and flexibility. This means that many can now offer longer and more flexible service hours. To keep up with the fast pace changes in technology, companies can look to outsourcing for help. The most forward-thinking outsourcing companies will consistently invest in new technologies to ensure they remain at the forefront of their market. This usually means you will have access to the latest technology and advanced processes. When done in a planned manner, outsourcing can be effective, resource saving, and a positive endeavour. We are a Kolkata, India based Virtual Assistance Company Providing web research, managing CRMs like Salesforce & Nimble, Social media management, data conversion, Website maintenance, data entry services, etc. We believe in providing the best service at the most competitive prices with quick turn around time. Our key motto is to provide service with accuracy. We give importance to our client's schedule and provide service with confidentiality. We believe in providing the best service at the most competitive cost with quick turn around time. We have highly skilled Professionals who take the responsibility of our valued client´s and perform tasks as (VAS) -Virtual Assistant Secretaries. Our teams consists of qualified professionals having a wide range of skills who are detailed and diligent. They put in their best to live up and exceed our client´s expectations. I´ve worked with Sanjay on a range of projects through the past year, including online research, report writing, data entry, website setup, and much more. 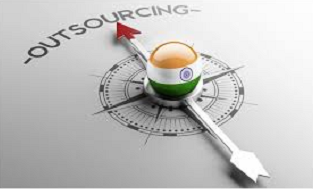 Outsourcing allows you to focus on your core values: Outsourcing non-core business functions will release valuable time and resources which can be dedicated to managing core functions instead.